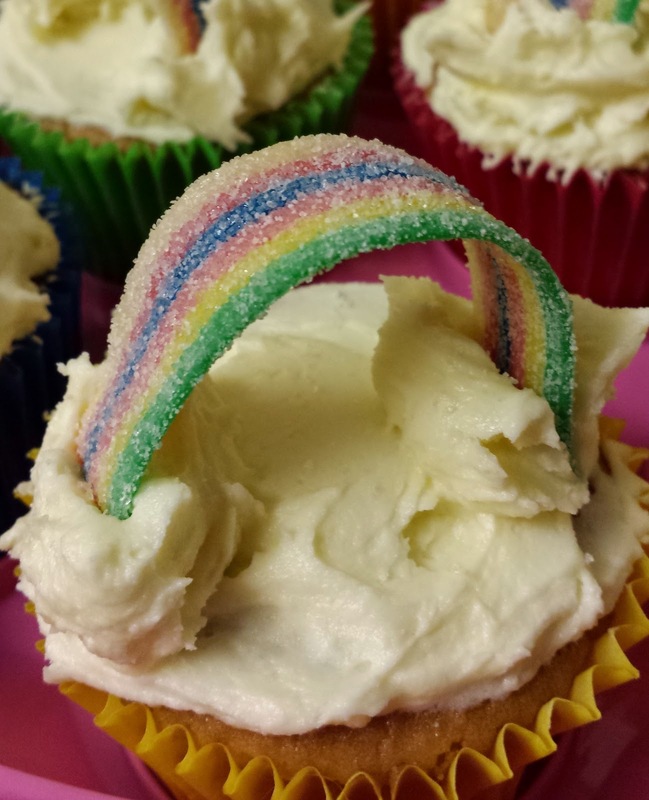 With little man N’s Naming Day theme being rainbow and a rainbow featuring on his main cake, I had my thinking cap on for some kind of rainbow themed cupcakes to go with it. You don’t even need a piping nozzle for this and it’s okay for it to look a bit messy. They also feature a fab retro sweet! 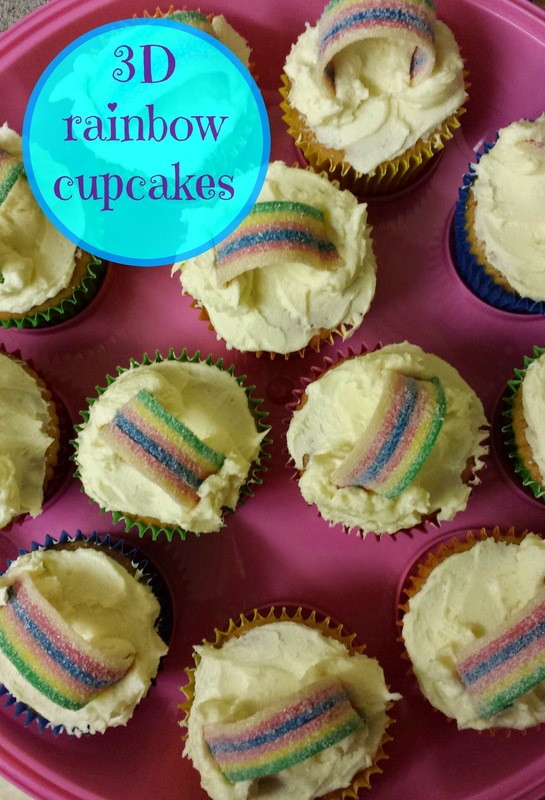 Perfect for any rainbow themed party. Preheat oven to gas 4 / 350F / 180C. Place cupcake cases into a 12 hole muffin tin. Beat in the eggs, adding a little flour each time. Beat in the remaining flour and the vanilla until mixture is well combined, smooth & creamy. To make the butter cream icing, beat the butter until smooth & creamy. Add half the icing sugar and beat until well combined. Add the rest of the icing sugar and the vanilla and beat until smooth & creamy. When the cupcakes are cool, take the palette knife and spread butter cream on top of each cupcake. It doesn’t matter if it’s lumpy on there as it gives it a ‘cloud’ like texture. 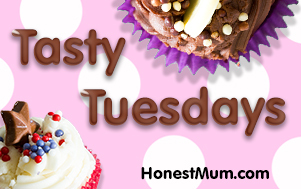 Take the teaspoon and spoon a small blob onto two sides of each cupcake. Again it doesn’t matter if it looks a little messy. Before the icing starts to set, take a rainbow belt – if they are a little long you may need to chop a bit off – and put one end into each blob of icing so it is curved like a rainbow.